many many congratulations to the living mahatma anna hazare on his successful movement against the corruptions in india. his lokpal bill is now very soon going to be a reality. government of india has approved his proposed bill and has convinced him for the same. 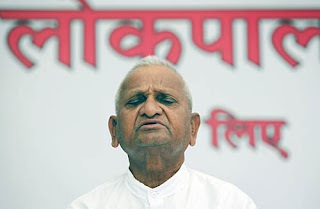 its 9th april 2011 that anna hazare has broken his fast unto death commitment. it took almost 4 days for him to be in fast to make his movement successful with lakhs of supporters. about 341 more people from different sectors too came to do fast with him and supported him in every step. jai hind! !